RANDOM: UNLIGHT DAWN "Unlight Dawn"
Tight-fisted, bullet-ridden, christ-devoured black Metal from Unlight Dawn takes no prisoners. Right from the opening scream in track number one “Born With Satan (Pure HellSeed)” – hear this at maximum volume, you’ll understand my point. 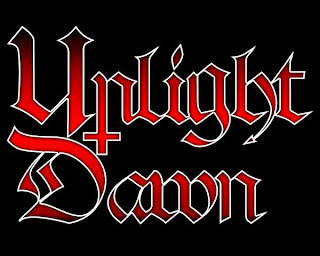 Unlight Dawn takes you on a tormenting, taunting, glorious fast black Metal throughout this 4-songs MCD. Taking ques from the sound of Swedish black Metal that is untouched by melodic plague, fukk it; Unlight Dawn does it so well. If you’re delved into this type of sonical impurities, for (un)god sake, you’ll be hooked on this. This MCD stands firmly on par with EVILDEAD’s previous release, that excellent Mantak “666” MCD, complete with a similar production result (Hellvete Studio to the fore once again, being utilized here and there on this). Can’t help sensing a bit of ‘Mantak-ness’ as well though in some part, probably due to the production, and of course their single-mindedness in the compositions. To hell with originality if you can pull it off well, hahah. I’m impressed. One ferocious Malaysian release. Qualities churning out from the Borneo in recent times just keep my adrenaline pumping. Be proud. INNARDS DECAY "Ignorance of Humanity"